‘Fire and fury’ is something the people of Nagasaki are all too familiar with. Last Tuesday marked 72 years since the United States, Donald Trump, dropped a nuclear bomb on the city, killing up to 100,000 people, and setting a quarter of the buildings aflame. On the eve of the anniversary, the President of the United State threatened ‘fire and fury like the world has never seen’ on North Korea, further escalating a war of words between the countries’ two leaders. And he is right; if the US’s current nuclear arsenal were to be deployed, the destructive blast of a bomb used would be unprecedented. However, the grim irony of the timing of his comments deserves reflection; we already know the consequences of nuclear weapons, and the people of Hiroshima and Nagasaki are still living with them. 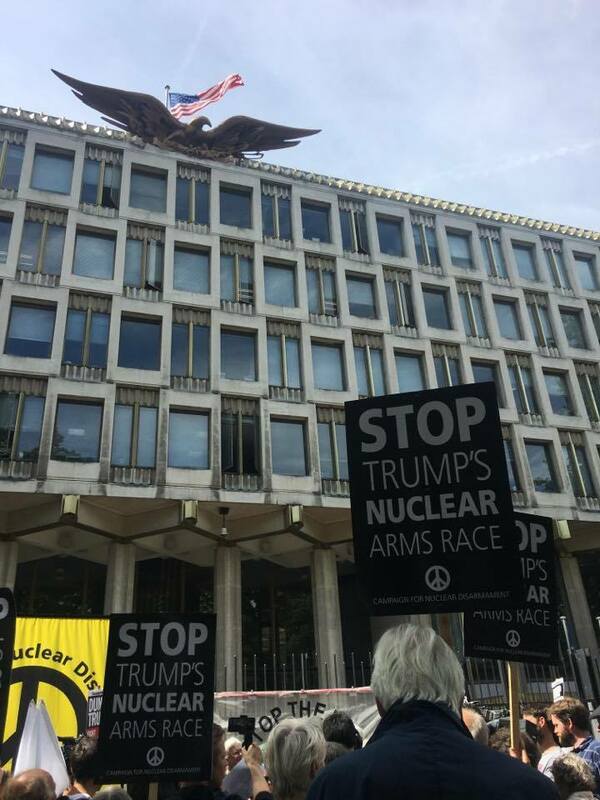 So, just 3 days after groups across the country held ceremonies to remember the victims of Nagasaki, CND organised a protest delegation, to hand a letter to the US embassy calling for a de-escalation of the crisis. 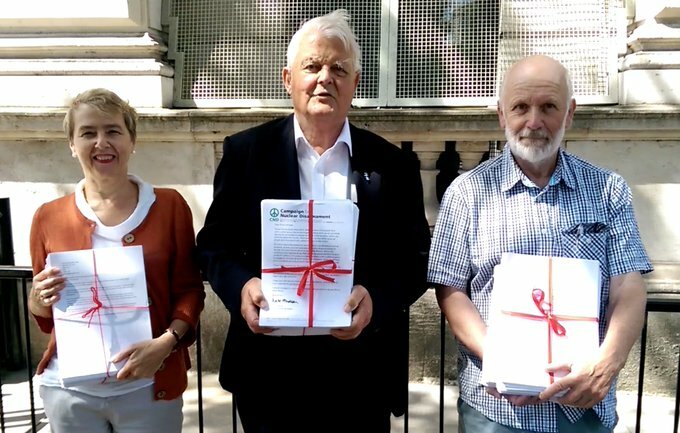 The letter was handed in by Giles Fraser, Victoria Britain, Jan Woolf, and representatives from CND and other civil society organisations. It asked that the US ‘engage in diplomatic talks with the aim of defusing the situation.’ The embassy refused to accept the letter. 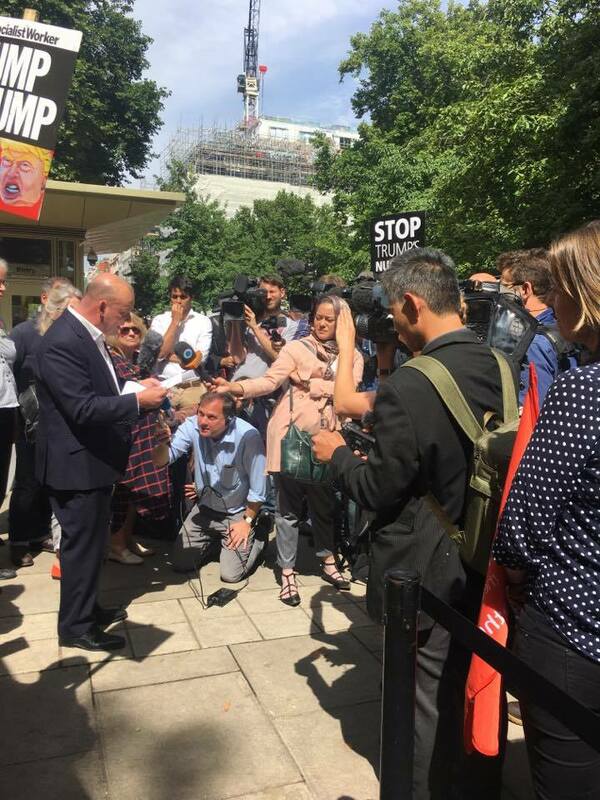 Giles Fraser reads our letter outside the US Embassy. While we were there, at lunchtime on Friday, President Trump was telling the media that the US military was ‘locked and loaded’ in anticipation for an escalation of the crisis. Here, an unnerving pattern is emerging. US foreign policy is not just being made up on the spot, it is being driven by what sounds snappy. Trump is devising his foreign policy based on alliteration. This would be one thing, if Trump were a stand-alone figure, but on the contrary, his whole entire administration is willing to play with fire when it comes to North Korea, and not just metaphorically. On Wednesday, US Defence Secretary, James Mattis, warned that ‘The DPNK should cease any consideration of actions that would lead to the end of its regime and the destruction of its people.’ This is an open threat of genocide. What is scariest about this situation is the clear lack of respect that Trump and his colleagues have for lives that are not American. The administration believes that all North Korean civilians are implicated in Kim Jung-Un’s regime and that their lives are disposable, so it is okay to ‘destroy’ them. It is this same belief that led to the bombings on Hiroshima and Nagasaki 72 years ago. It shows a deep held belief that human beings, if they live far away, don’t speak English, or look different, are somehow worth less. This racism, dressed up as patriotism, could all too quickly lead to the loss of thousands of lives. Indeed, his words are symptomatic of a wider problem; the continued existence of nuclear weapons. These bombs are not just dangerous in the hands of a dangerous President, they are dangerous in anyones hands. While there is human error, inflated egos, and red buttons, we are always close to nuclear weapons being deployed. Britain’s Trident nuclear weapons system isn’t keeping us safe, it’s implicating us in this escalating conflict by association. While Theresa May has decided this crisis doesn’t merit a comment or condemnation, Foreign Secretary Boris Johnson, in true Trump-style, decided to simply tweet that ‘The North Korean regime is the cause of this problem and they must fix it.’ Boris’ comments have been echoed on the CND and YSCND’s social media accounts over the weekend. Why not go the North Korean embassy? people ask. Of course, Kim Jong-Un should stop his threats of mass genocide. The regime’s reported acquisition of nuclear weapons is a threat to world peace, and we should all be concerned, but this misses the core of what Britain’s role in this crisis should and could be, and what is realistically likely to end the cycle of brinkmanship. The US is a democracy, its President should be accountable to its citizens and it is an ally of the UK. While North Korea has been threatening the US for years, Trump’s comments are a departure from previous more measured rhetoric, and could easily provoke the highly unstable North Korean leader. It is precisely because Kim Jung-Un is a threat to the UK that our Foreign Secretary should not be dealing with this crisis by blaming him on twitter. Instead, the UK should be using diplomatic means to pressure the US – our allies – to preserve peace, as the CND letter was asking for. When Trump followed up his comments on the power of the US nuclear system, he remarked that ‘hopefully we’ll never have to use this power.’ Yes Donald, hopefully. But when it comes to weapons with the capability of killing thousands of civilians, hope doesn’t feel like enough at the moment. 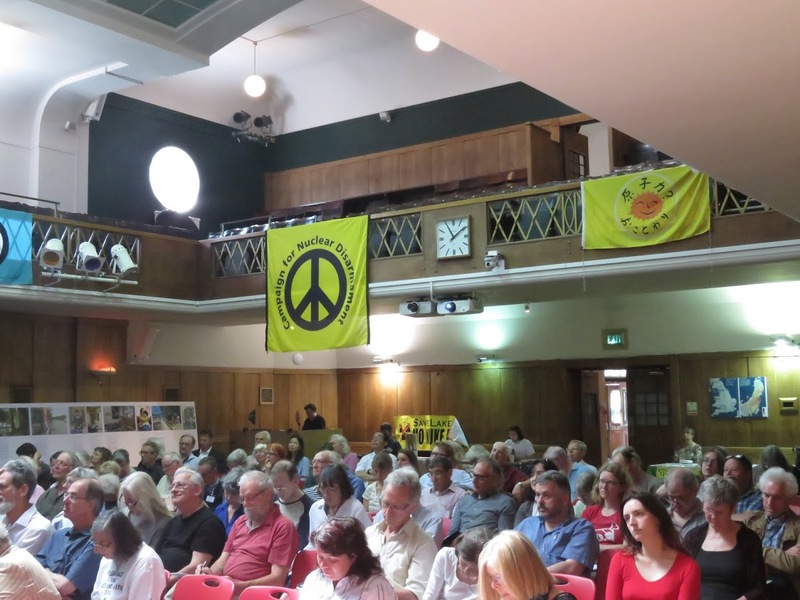 At YSCND, we’re taking action in campaigning for a nuclear free world, and specifically a reversal of the decision to the replace the UK’s Trident nuclear weapons system, which makes us a target. 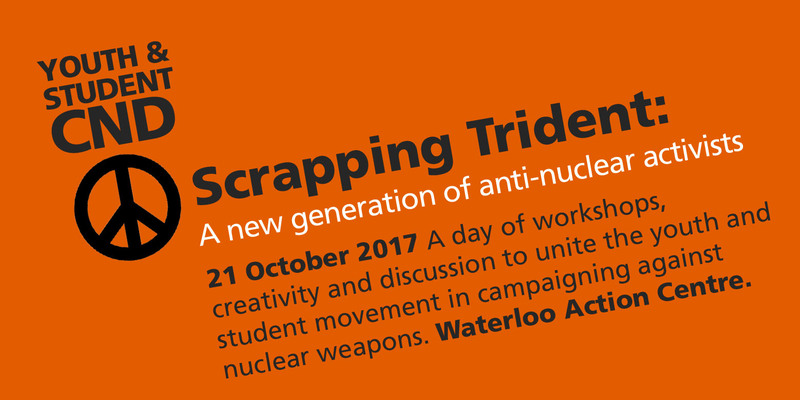 We’re holding a workshop day on the 21st of October, to unite the youth and student movement in campaigning against Trident. If this week has worried you too, join us to take action! As the events of the last week have proved, our future is at stake. Find our event on Facebook, and register for free on Eventbrite! No to Nuclear! No to the Arms Trade! 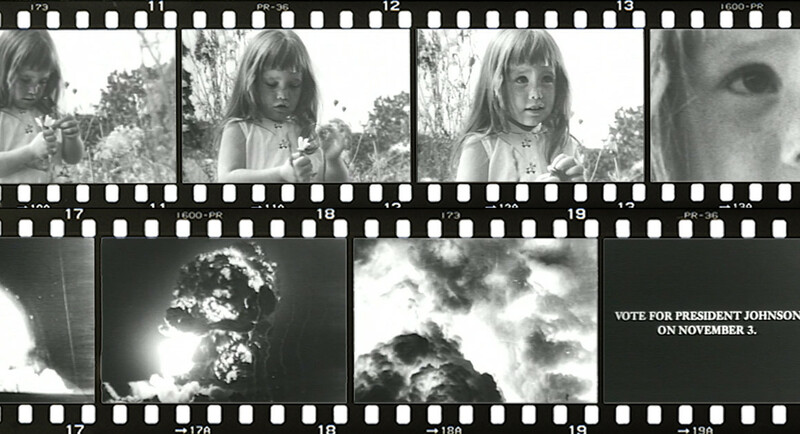 The terms of political debate around nuclear weapons have long been fixed around a few issues. The morality of possessing weapons capable of killing millions of people, and irrevocably damaging the earth, rightly comes up in discussion. The huge cost of replacing the Trident nuclear weapons system, at a time when essential public services are being cut, is a flagship campaigning issue at CND. Increasingly, more and more people are also accepting the argument that these weapons don’t meet Britain’s defence needs; it is clear that the real threats to our security are related to terrorism and cyber-security. However, what is often forgotten is that there is also a profit motive behind the upkeep and replacement of Britain’s nuclear weapons systems. Powerful people are making millions of pounds from Trident, and they are often unidentified. The British government props up the UKs thriving arms dealers. It’s ‘Defence and Security Organisation’ (DSO), which promotes British-based weapons manufacturers around the world, operates within the Department for International Trade, the same department that is responsible for issuing licences for overseas exports. The idea that arms sales can be properly regulated by a department that is also actively promoting British weapons around the world is a total farce. It means that in the last few months, the UK has been sending representatives around the world to encourage the purchases of arms manufacturers in the UK. While this was happening, they did not manage to send a single representative to the UN negotiations on the recently agreed Nuclear Ban Treaty. The government’s refusal to engage in treaty negotiations, let alone sign the treaty, doesn’t only confirm that the Conservative Party’s commitment to multilateral disarmament was only ever false rhetoric. It also clearly exposes where their priorities are; they are not pushing for peace, but pushing to further profit from war. In fact, while treaty negotiations were going ahead without the UK, public funds were being used to defend the Department for International Trade’s decision to allow weapons sales to the Saudi Arabian dictatorship. Despite clear evidence that British weapons had been used on bombing campaign against Yemeni civilians, contrary to humanitarian law, courts ruled that these export licenses were legal. This is a shame to the UK. It is no coincidence that arms dealers have sold £3 billion of weapons to Saudi Arabia in the last 2 years and that the government is seeking to defend their right to do so. This is such a blatant conflict of interest, undoubtedly pushed by a UK department – the DSO – which shouldn’t even exist. Yet, less than two weeks before the UN’s Nuclear Ban Treaty opens to signatories, the DSO are hosting the world’s largest arms fair in London. Starting on the 4th of September, and lasting a full week, 34,000 attendees from arms manufacturers, governments and militaries will gather at the Excel centre, hidden away in London’s docklands, to trade in weapons of war. Key figures behind multiple nuclear weapons systems will be exhibiting all week, offering to sell their technologies to countries around the world. The promotion of these technologies has nothing to do with the security of the UK. It is about protecting the profits of those producing nuclear weapons systems. The fair will be operating behind barbed-wire fences, protected by armed security. 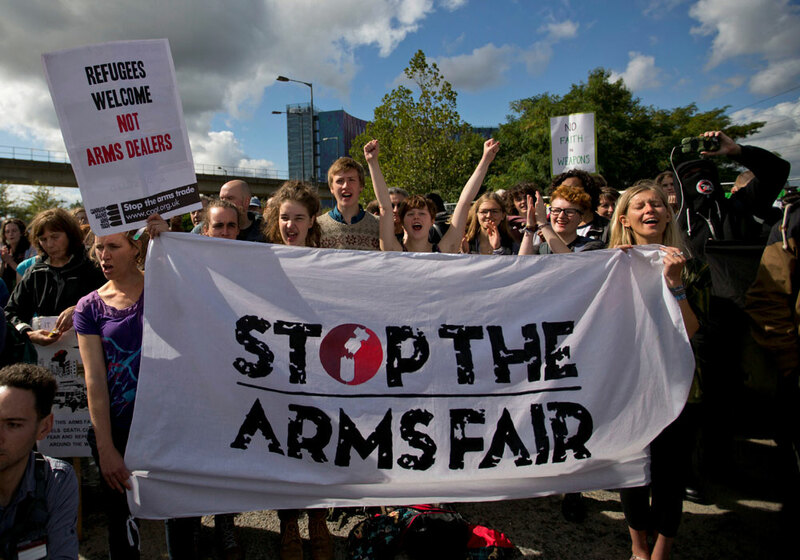 However, the arms fair will not be able to run smoothly if faced with significant opposition. Two years ago, when protestors were arrested for blocking military vehicles from entering the arms fair, they were later cleared of all charges, as they had been acting to prevent further human rights abuses by those attending. This year, Stop the Arms Fair are coordinating a week of actions against DSEI, and CND are working with Trident Ploughshares to organise the No Nuclear Day on Wednesday, September 6th. CND groups will be travelling from across the country and we want the biggest possible presence from YSCND. This is the perfect time for young members and supporters to get more involved with Youth and Student CND, and to show your opposition to the British government’s promotion of nuclear weapon technologies. We want to send a signal to the Tories that they haven’t got away with ignoring the Nuclear Ban Treaty, and that we don’t consent to their propping up of the arms trade. We want a nuclear free future, not a country run for profit rather than morality. Please join us in protesting against the DSEI Arms Fair. For more information go to the Yorkshire CND website, who are coordinating the action. 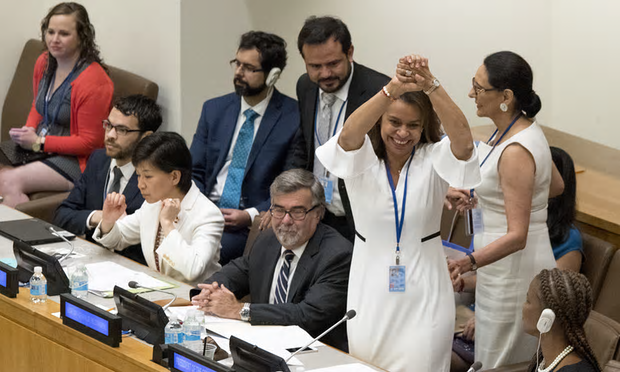 On 7th July 2017, a powerful step toward a nuclear free world was taken at the UN headquarters in New York. The first legally binding international agreement in nearly 50 years, to comprehensively prohibit nuclear weapons was passed by 122 countries. It will open for signatures on September 20th and hopes to begin the process of moving multilateral disarmament talks after the frustrating slow pace of the Non-Proliferation Treaty (NPT). 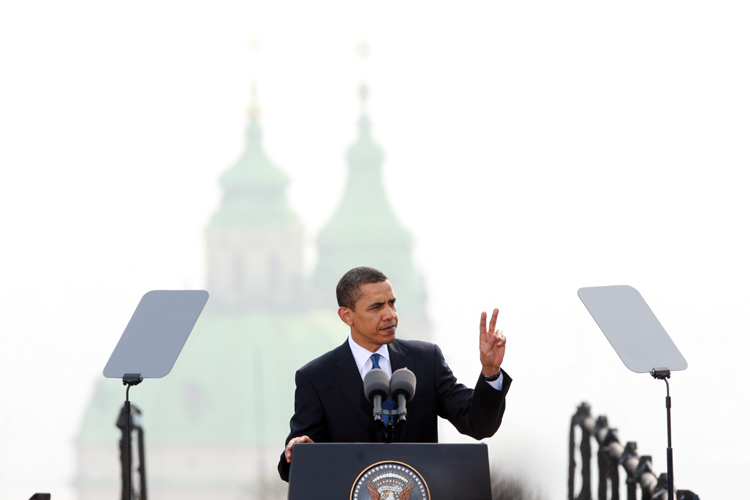 The NPT has seen very little progress since its signing in 1968. 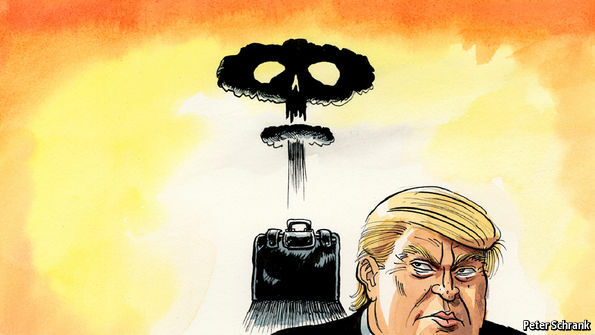 The ‘grand bargain’ that promised that nuclear states would take steps to disarm as long as non-nuclear states would not proliferate the weapons themselves, has given way to a farcical back and forth between the two sides. All the NPT really did was confirm suspicions about the disregard the nuclear states have for those that are on the outside looking in on their exclusive club. The Treaty on the Prohibition of Nuclear Weapons (henceforth Global Ban), marks a shift in this rhetoric. It is a defiant, but frankly necessary move by those that are outside of the club to change the rules of engagement. The UN hopes it will provide an “unambiguous political commitment” toward achieving global disarmament and developing a dialogue about nuclear weapons. This coincides with the mounting tensions in the East Asian peninsula. North Korea has continued to postulate aggressively that its nuclear weapons can creep closer and closer to US borders where the infamous unpredictable Twitter-warrior (and President) Donald Trump, sits in sole command of the largest nuclear arsenal on the planet. It seems that for the first time in my lifetime, nuclear war is beginning to be talked about in not so hushed tones. However amongst all the meaningful discussion of the Global Ban, something has come awry. Why, when 122 countries have come together in the UN, is the default conclusion of the North Korean dispute, hushed tones of nuclear war? Hope in the UN should have been inspired, the recognition of the alternative, disarmament should have made it back into the news. Alas, the UK did not fail to disappoint with abysmal mainstream coverage of the Global Ban. Apart from a few newspapers, the Global Ban flew quietly under the radar of the everyday British citizen who were instead greeted by sensationalized analysis of the end of days visa vie North Korea. Unfortunately, news outlets usually reflect the government bias, failing to keep the public informed of the full picture. Hopelessly reliant on these sources, large swathes of the public will remain unenlightened to the great lengths other countries are going to achieve a nuclear free world. The Global Ban highlights the false claims made by the United Kingdom that state its commitment to multilateral disarmament. While the majority of countries constructively engaged in meaningful discussion about what could be done, the UK ambassador to the UN, Dr. Matthew Rowland, seemed to only attend to scoff at the apparent ‘hypocrisy’ and ‘deliberate attempt to undermine the global quest for security’. He was spotted afterwards fist-bumping the US ambassador, Nikki Haley, in what is another great example of lapdog diplomacy between the UK and USA. The failure of any of the Nuclear Armed States to sit at the treaty, is a reminder of the stubborn nuclear order these nations wish to continue. Earnest in their claims for a multilateral disarmament process, until the perfect opportunity lands in front of them. It is dismissed as illegitimate and laughed off as an attempt by the small countries to interfere in grown up decisions. The behaviour, we have seen, begins at the UN and ends at home, resulting in poor coverage of the talks which could have been conducive to honest debate about the future of nuclear weapons in the UK. Instead we continue nonchalant discussions about the potentially imminent nuclear war while we wait in trepidation for the latest episode of Love Island. On the 18th July 2017, CND handed in 7,000 letters to 10 Downing Street. The letters, addressed to Theresa May and Boris Johnson, call attention to the attempts by the UK to undermine the Global Ban talks and the failure to engage in the process. These letters highlight the opportunity the UK has squandered to leading the international community by being the first nuclear state to participate in the proceedings, and the hypocrisy it now represents, in failing to commit to the multilateral disarmament it says it champions. The signees represent the fraction of those that heard about the Global Ban and were ready to make it known to the government, their disappointment at the UK’s failure to engage with on such an important forum. CND deplores the government’s handling of the Global Ban and calls on it to recognise its mistake in choosing to remain idle. It seems self-evident that if the government deems it necessary to stifle news coverage of the achievement of a Global Ban, it has something to fear. We must move to a more open discussion of all nuclear weapons, especially the ones we can actually do something about, our own. Only then can the hopes of the Global Ban be realised. When many of my peers and I left 6th Form we had aspirations to further our education. This is a decision that is no longer as simple as it once was. We were told stories of our parent’s generations who were the odd ones out going to university, and gasped with shock as they reminisced of a time where you could be paid to go to these places. Surely not! We are frequently reminded to dash our hopes of such fantasies for ourselves. Chastised for setting ourselves unrealistic goals and for asking too much from student protest. The media reports false truths about the modern student position, making smarmy comments about us being able to pay back our loans if we stopped eating avocados, and saved like all those wise generations that came before us. University has swung from a privilege to commonplace pursuit for those leaving school and in many respects that is a great thing. However, it appears to me that the university push that I felt behind me at school had ulterior motives. Sadly, like so many things in life, the motive is money. A friend of mine who graduated last year, recently shared with me her first student loan repayment letter. She, like the hundreds of thousands that have graduated in recent years, is looking at repayments in the ballpark of £50,000, a staggering debt for a 21 year old to begin their adult life with. Furthermore, we noticed she had been slapped with a further £5,000 or so, in interest repayments which had culminated across the time she was getting her degree. Wonderful. Sad as it is to say though, it was not a surprise to any of us that winced as she read the letter aloud for us in our dingy student house. 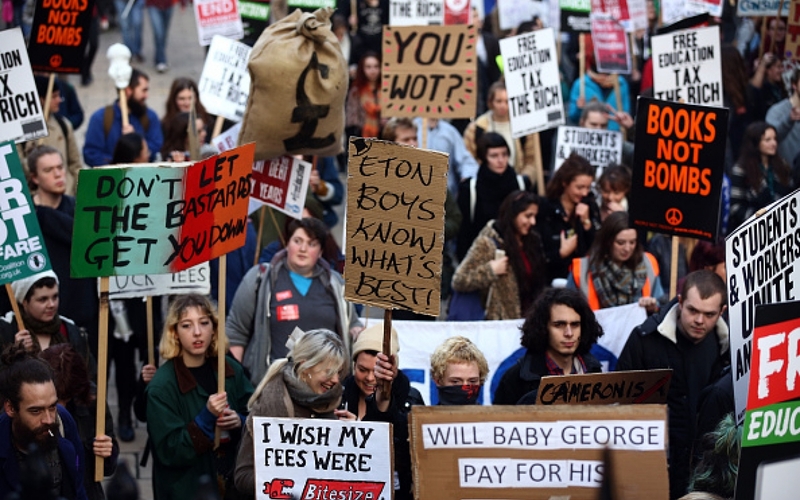 Student debt is becoming normalised and frankly it is infuriating. In the four years I have been at university, I have watched dismayed as the government laid honey traps for naïve 18 years olds, who like myself, were sold on the necessity of a higher education degree in an increasingly competitive workplace. I was the first year to despair at a full university degree under the £9,000 tuition fee rise and jump at the government’s hospitality in offering student loans that would not only cover my degree, but an extra £3,000 and something in the form of a maintenance loan too. Phew. Thank god for David Cameron, what a thoughtful bloke. Knowing no better, and pressured by schools, parents and government rhetoric, we entered the university machine. I watched over my four years as a student as my campus fell victim to privatisation and students were disciplined for protesting against the changes. Behind the scenes, my loans were being privatised too, without my knowledge, and suddenly it was too late. Students were lied to. On the basis of their eagerness to learn, we continue to be exploited. Have you heard of The Sale of Student Loans Act 2008? I hadn’t. These underhand changes to how we learn have made the entire experience bittersweet. The government has offloaded its education costs onto the individual in a spectacular fashion, and sold it to the youth as an opportunity. Universities has become a market, where students are customers first, and foremost. Over 80% of universities hiked their prices up to the £9,000 cap in 2012, which demonstrates the profit driven culture that has permeated education, without any regard for the quality of the service being provided. The discussion continues sorely today, highlighted by Labour leader Jeremy Corbyn’s manifesto promise of cutting the fees all together this year. Student protest continues to expose the lies that were sold to us at the beginning of our degrees that see the Student Loans Company rake in upward of £12 billion from the age group statistically in the lowest paying jobs. The government’s go-to rebuttal to the criticism is that they cannot afford to subsidise the increased university uptake. Budget is stretched, and education is a money-pit, like the NHS and other social services. All these excuses ignore the elephant in the room. The government can always find money to invest in things that it deems priority. Trident’s renewal is set to spend £205 billion of the UK budget towards the sustaining of the nuclear deterrent by the 2030’s. This is enough money to pay for over 8 million students tuition fees, and yet it will remain tucked firmly away out of reach of those things that are open for discussion in the budget. If anything is a waste of money, surely developing nuclear weapons in what is quite clearly the safest corner of the planet, is ahead of providing healthcare for the sick, and educating the future of the nation. The continued assurance that these weapons are ‘essential’ bringing into scope bizarre priorities of those who make decisions on behalf of the rest of us. We urge the UK government to listen to the generation that is set to inherit the country and realise the damage it is doing to the longevity of its labour force. We can see a clear solution to the tuitions problem right in front of us; cut Trident, not education. Education surely, is the key to resolving the geopolitical disputes for which nuclear weapons are reserved, renewal only entrenches the behaviour that enable nuclear proliferation to continue in other countries. If the United Kingdom wants to continue to count itself as a world leader, it needs to recognise what is worth nurturing. Our nuclear arsenal makes up less than 2% of the nuclear stockpile globally, a mere drop in the water in the grand picture but considerably more in the scale of the UK. It is unsustainable to make excuses about nuclear weapons, education is essential, health is essential, nuclear weapons are not. Without either of the first two, society would collapse, can the UK government really claim that the same is said for Trident? Latest figures claim that three quarters of students will not be able to repay the full debt by the time it is written off after 30 years. Despite this the pay cap is now ready to be pegged against inflation, should, god forbid, the student value-for-money statistics start to creep up from their all-time low of 35%. Trident however, remains impervious to austerity. The government has failed to guarantee to its younger population that it values their contribution, and instead plows ahead of with an outdated nuclear programme that fails to address the needs of modern society. On the Saturday just gone, 17th June, while the rest of London sweltered at the mercy of the hottest weekend so far this year, enthusiasts, activists, and journalists alike, descended from across the world to Conway Hall, Holborn,to take part in the first nuclear power conference in 30 years, No Need for Nuclear: The Renewables are Here hosted by the Campaign for Nuclear Disarmament. With over 150 attendees of all ages, and 17 speakers comprised of distinguished academics, MPs and industry representatives, the conference was deemed a great success. The conference was graced with a keynote address from Caroline Lucas MP, all the way from New York where the UN disarmament meetings are taking place. 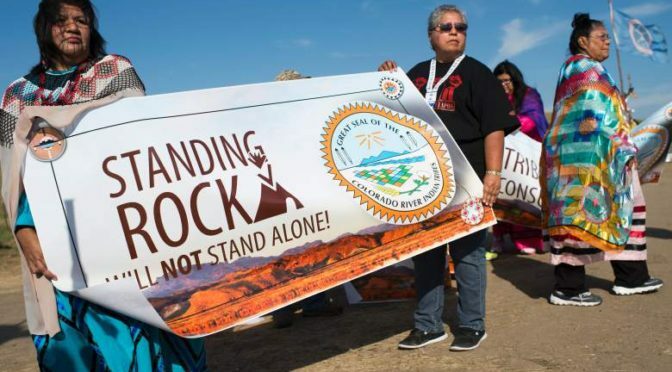 The conference was broken into 4 sections: What’s wrong with Nuclear power? and The Politics of Nuclear Power followed by UK Energy Demand, Energy Supply, and The Renewables after lunch. Despite the morning focusing primarily on the problems associated with nuclear power, and the afternoon discussing the benefits of renewable energy, trends began to emerge from the talks quickly. It soon became apparent how renewables were not only a quicker, more versatile alternative but their cost has nose-dived in the past 20 years despite the technology having improved leaps and bounds. So much power has been produced, for example, by wind farms that prices have fallen to 1/10th of their normal level. We heard how only a few weeks ago, the National Grid reported that renewables supplied 50.7% of power to the UK, a huge milestone towards a world free from nuclear power/fossil fuels. On the other hand, projected costs for new nuclear programmes in the UK, like the one at Hinkley Point C, are estimated at €39 billion but likely to run higher. This, teamed with bankruptcies at Areva and Westinghouse/Toshiba and the indebtedness of EDF, questions have already been raised as to whether these programmes will go ahead or simply be footnoted within public expenditure. 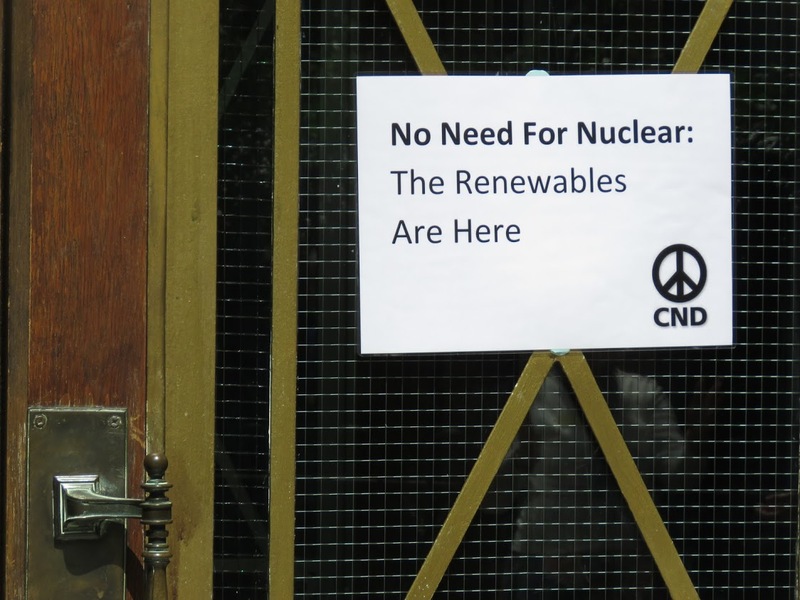 What many at the conference pointed to was how nuclear was definitely on the retreat, and the argument for renewable energy only gets stronger and stronger. 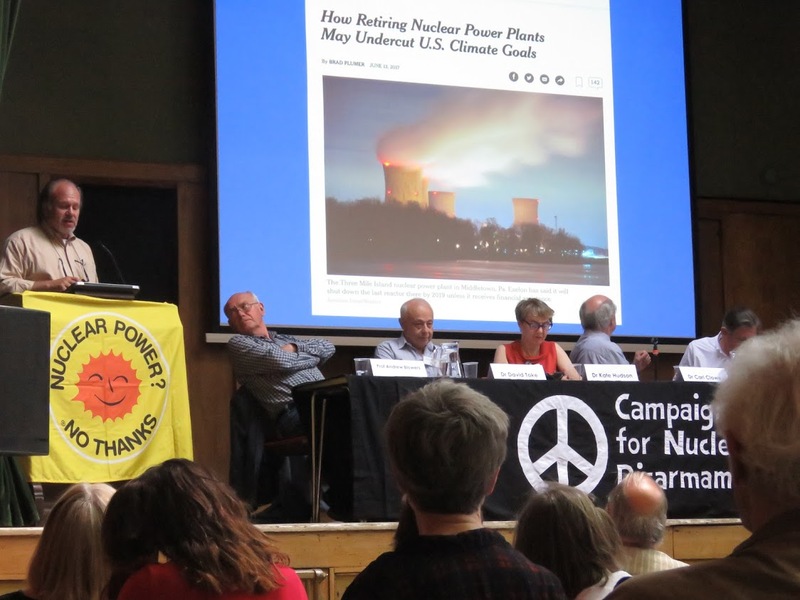 We were shocked by the opening talks which discussed the damage that nuclear power poses to the general population, even when the plants themselves do not malfunction. Talks shed light on government sponsored investigations into the radiation related illness and cancers experienced by those that lived close to power plants. Despite the investigation known as KiKK being intended to illustrate how living near nuclear power plants was harmless, the results backfired, seeing rising incidents of child leukaemia and other forms of cancer solids rising by as much as 120% within 5km of power plants. This was when a plant is performing as expected. When it malfunctions, like in Chernobyl, the impacts were seen to be as far reaching at the UK, even further. Locally, flora and fauna in Chernobyl have been under duress for 30 years, mutations leaving them victim to cancers and cataracts while economic costs are estimated to have been as high as $700 billion. Costs for Fukushima are expected to surpass this figure, taking into account the losses faced in shutting down the 50 power plants in the aftermath of the 2011 earthquake/tsunami. These statistics were stuck in our minds as we listened on to how the new Conservative government remained silent on nuclear power in their latest manifesto, and Labour continues to bicker internally on its position on the subject despite the very public views aired by their leadership. Speakers also called attention to the trade unions failure to recognise just how many jobs renewables provide for the industry over nuclear, 16 times as many according to official data. A common theme was talking about planned phasing-out of the UKs remaining 8 nuclear power stations as has been happening across Europe in Switzerland and Germany. One speaker demonstrated how between 300 and 4000 local energy schemes had been organised by co-ops up and down the country, erecting wind turbines and solar panels in an effort to pick up the slack in the government’s position. With over 10,000 members and 500 local authorities these programmes are bringing democracy to the people, uniting communities and providing independence from energy corporations. The presence of MPs at the conference was also an essential part of the dialogue. Three Green Party representatives and one from Labour, facilitated a cross party debate which engaged directly with the concerns of the audience. Their component demonstrated the need to engage with these issues on a political level if we are see changes occur in the future. A conference highlight was the photograph taken in Red Lion Square at the lunch break to contribute to the worldwide Day of Action in support of the UN Conference on Nuclear Disarmament in New York. Over 100 of the attendees gathered in solidarity, and it lifted everyone’s spirits to see this show of force on such a decisive day. The success of the conference, begs the question, what happens next? 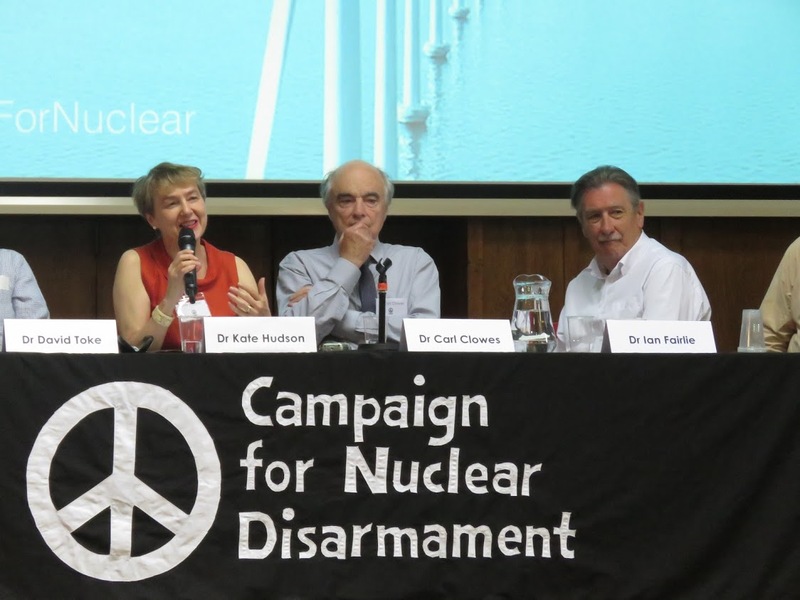 CND have already began considering the possibility of a similar conference in the years to come. Let’s hope it won’t be another 30 years! Prime Minister Theresa May’s first order of business as she ascended to power last year was to vote through the £205 billion replacement of Trident. The legislation passed through parliament, dividing Corbyn’s Labour party and presenting Theresa May as a decisive, patriotic leader. It acted perfectly to illustrate the Britain that means no nonsense as it departs from the EU with a strong and stable leadership. One year on and this phrase has become the tired and parodied soundbite of a country that is anything but. With the snap election in a few days on June 8th, our strong and stable ship is without a captain heading straight towards a Brexit which remains mysterious despite the various hard or soft prefixes that are being thrown its way. Such a country should not be making such heavy-handed decisions about the Trident replacement process when it is in the midst of austerity. This election however, provides an opportunity for us to confront the government on their commitment to nuclear l and make a difference. Trident remains a hotly debated topic. Defence Secretary Michael Fallon openly committed the UK to a first strike policy in April this year under ‘extreme circumstances’. This is an alarming and flippant decision which provides conveniently vague terms of usage for such a horrific weapon. Replacing Trident will cost at least £205 billion, money which is in dire need elsewhere, in the NHS and education sectors. The Times has also exposed the failure of a missile test launch last June, which was covered up in the lead up to the Commons vote. The government is committing more resources to nuclear power as well, despite the large costs involved and the doubts cast as to its safety and longevity as an energy resource. Outside of the UK, wheels are in motion at the UN to finalise a nuclear ban treaty in July, a historic move supported by over a hundred countries. The UK is not engaging with the initiative, choosing instead to remain on the wrong side of history. However, this can change. 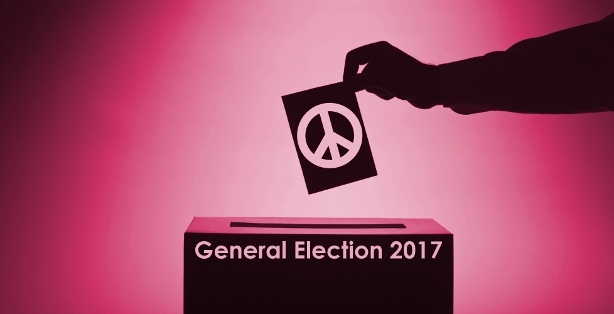 The June 8th vote gives us a chance to elect more anti-nuclear MPs to stand with CND. Disregarded for being notoriously unreliable in the election process, young people have an opportunity to craft a future that they want, is it this country that we are going to inherit. Regardless of your position on the issue, we have the chance to choose what Britain will look like post-Brexit, a country that maintains archaic notions of nuclear superiority or one that leads nuclear non-proliferation debates by taking active steps to join the UN majority. A previous survey of young people by WMD Awareness uncovered how 69% believed that replacing Trident would only encourage other countries to invest in their own nuclear programmes. Less than 20% thought we should build a new nuclear weapons system. The average age of an MP is 50 years old, which suggests a disconnect with the younger population’s views and opinions. It is up to us to let them know what we think. This can be done via CND’s website at www.cnduk.org/Election2017, which guides you through how to easily contact the candidates for your constituency. We will be posting their responses in an effort to provide you with the tools to make an informed decision when casting your ballot. You can always keep in contact with CND’s updates via Facebook or Twitter. This election, let’s vote out nukes! The term “ignorance is bliss” has never quite resonated with me as much as when I returned to the office after the end of the American Presidential Election and I reread my “Clinton, Trump and Daisy” blogpost. I can remember writing the article, all the while thinking it is almost implausible for the eventuality that Trump would actually become President. Yet lo and behold… here we are. Now the word “cynicism” now springs to mind. Cynicism – ˈsɪnɪsɪz(ə)m/Noun, “an inclination to believe that people are motivated purely by self-interest; scepticism.” Or, “Public cynicism about politics”. Synonyms: scepticism, doubt, distrust, mistrust, doubtfulness, suspicion, disbelief, incredulity. The new President-Elect has caused quite a stir on the world’s stage with his dangerous rhetoric regarding the notorious American nuclear codes, and his outward looking approach on the rest of the worlds’ relationship with nuclear weapons. One of the major anti-Trump arguments was in line with what Obama said – how can we trust a man with the nuclear codes who has a temperament of a toddler? Especially when there is no eventuality within American politics that would be able to stop Trump from pushing the big red button! 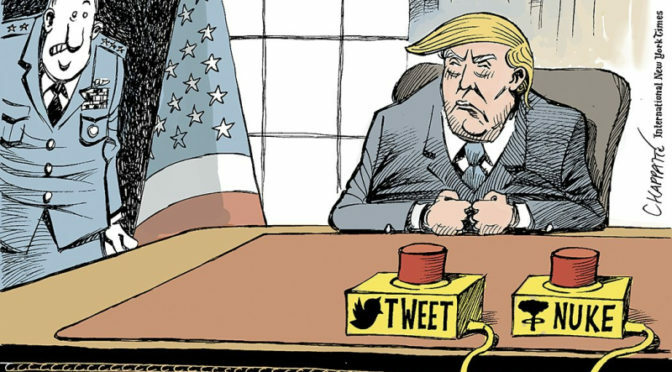 Even if all his advisers and field experts tell him otherwise, Trump is still allowed to press the button (or use the nuclear biscuit, which is the nickname given to the credit card-like material which holds the nuclear codes!). Bearing this in mind, there has been an alarming sense of confusion with regards to the President-Elects position on Nuclear Weapons. He is now denying that he ever promoted horizontal nuclear proliferation (more countries acquiring nuclear weapon capability), despite proof of him saying it in late March whilst being publicly interviewed during his campaign trail. He argued that there could be a change on outward nuclear policy in favour for proliferation, in which he explicitly referred to allowing Japan to develop their nuclear capability. 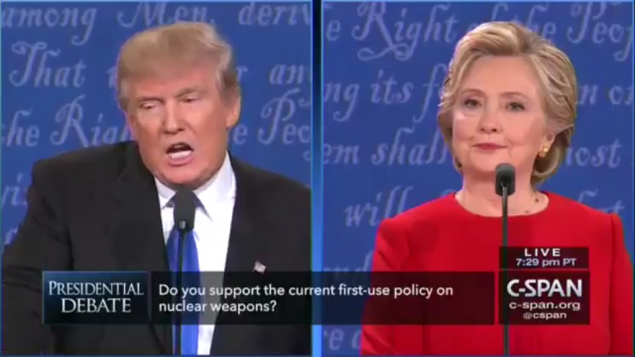 He hasn’t ruled out the possibility that he would use nuclear weapons in times of necessity. And even more worrying than these two comments, is his blatant dislike and distrust for the Iran-Nuclear Deal – as he has the very real opportunity to un-do the hugely significant and successful deal between two previous disaffected countries. Now having a Republican as President and an overall right wing sentiment within the House (who are ready to work with Trump when he takes up his presidency post), it is increasingly likely that the Iran-Nuclear deal will be up for discussion once again. It will be both simultaneously interesting and alarming to see what steps Trump will take in order to reassure the global nuclear stability – or in fact, do quite the opposite. Many members of the Left, throughout the world, have joined a widespread outcry at Trump becoming the 45th President of the United States due to his lack of political experience and his unsettled temperament. 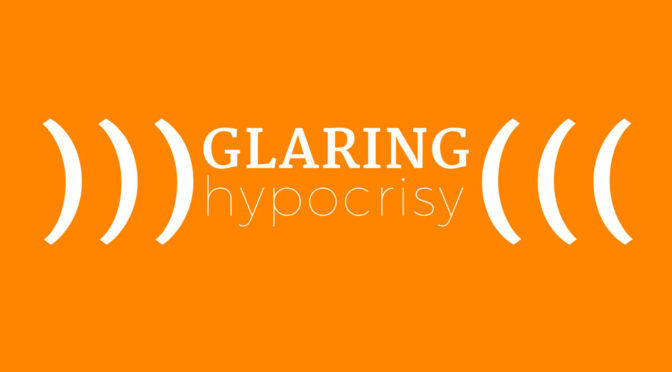 But despite a unison of worried politicians and loud voices declaring their contempt for the President-Elects previous statements, there seems to be a prevailing feeling and rhetoric of cynicism. 2016 has been a bit of a rubbish year across the board. It will always be the answer to the “guess the year” round in a pub quiz. Or if you have a political question that seems completely and utterly bonkers, the odds are in your favour that it happened in 2016. Not just politically, but within pop-culture too, there seems to be a downtrodden feeling towards 2016. Prince. Alan Rickman. David Bowie. 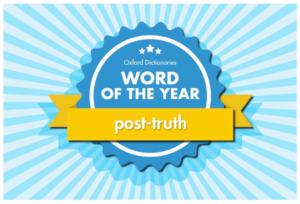 Even the word of the year, nominated by the Oxford Dictionary has underlying links with cynicism; Post-truth. 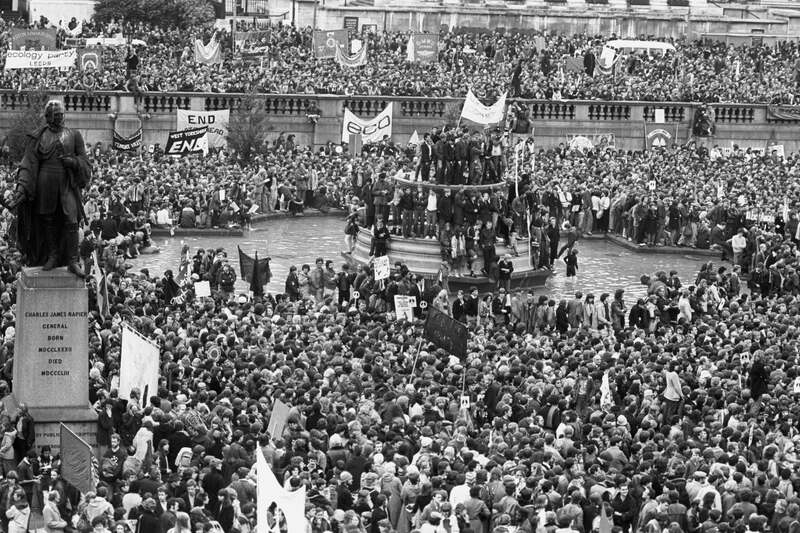 The need for reorganising ourselves in a constructive manner against the seemingly mainstream rightwing was epitomsied in Sarah Marshs’ ““I hate cynicism; you have to fight” 1960s activists on Modern Politics” article in the Guardian. It has made me realise that every generation growing up fights a different battle – whether it was a World War, Civil rights movement, Womens liberation movement, the Cold War, Genocides, etc… Every young and politically minded individual grew up with a variant of the “impending doom”. For us today the threat of impending doom is a complex one (I’m by no means belittling the previous historical problems we had, but hindsight is a wondrous gift), globalisation, climate change, global terrorist network, rising tensions between U.S. and Russia, refugee crisis are just a few amongst many. To add to this list is now President-Elect Trump and his actions towards creating evident instability on the world’s stage with regards to nuclear weapons. Marshs’ article is a simple but eloquent reminder that in the face of harsh struggles, instead of allowing our cynicism to take control and block any forward movement. That we need to unite, engage with our disappointment in a constructive way and find a way forward. Students are essential to this type of forward movement. Students are known for their prolific engagement in politics. We are just starting to engage with and understand a world bigger than our homes towns and we are not quite yet lumbered with the responsibilities of adult life. We have the curiosity and the passion to question the zeitgeist, and enough autonomy to partake in events that show our disenchantment with the direction that things are heading. This year seems to have really highlighted the fact that we have had no progression on disarmament of nuclear weapons, especially when considering the British Vote on Trident Replacement. But this does not mean that we are complacent in our vehement opposition to the replacement of Vanguard-class submarines that have the capability of causing excessive harm. We are still meeting together, still discussing how to move forward, still illustrating that we will not remain silent on this matter. Whether you’re holding a small event at your university or school, attended a march wielded with a placard with anti-nuclear weapon sentiments, or simply RT’d and raised awareness of the dangers and illogical reasons of possessing a nuclear weapon – it is important to remain positive and forward thinking and to continue pushing for a nuclear free world! Remove the cynicism in your life, and channel your passion by joining us in the active fight against nuclear weapons possession and proliferation of nuclear weapons throughout the world by becoming a member of YSCND today.